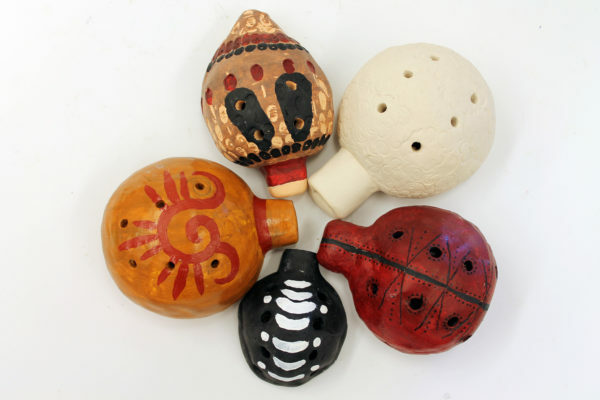 The Ocarina is a traditional Mesoamerican flute traditionally made from clay or ceramic. “Ocarina” is a term used by Mayan and Aztec cultures of South America but many other societies developed similar wind instruments for music and ceremony. Students will use a variety of clay building techniques to create their own traditional ocarina or clay whistle. Previous clay experience is recommended for this unique and challenging clay project.